This is for the sale of the business only and assumption of lease. Here is your opportunity to acquire an established profitable business. 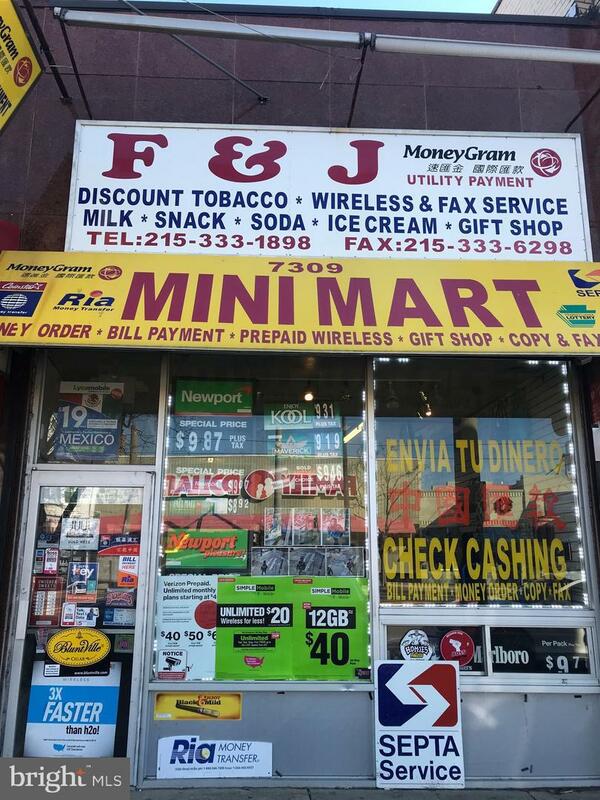 Retail space has check cashing, lottery, groceries, and tobacco. There is very little to no maintenance, and no experience required. The owner can help train. You could expand the grocery portion to serve hoagies and deli sandwiches. There is plenty of foot traffic as you are near the corner of Cottman and Frankford Ave. It is a busy intersection with non stop foot traffic. The rent is cheap, and lease is good until 2027 with option to renew. Acceptable Financing CashNegotiableSeller FinancingConventionalPrivate Accessibility Features None Association YN No Business Name F&J Market Check Cashing Business Type RetailConvenience StoreOther Central Air YN No Current Use Retail Heating Fuel Natural Gas Hot Water Natural Gas Lease Considered YN Yes Navigable Water YN N New Construction YN No Original MLSNumber 301428467694 Ownership Interest Leasehold Possession 0-30 Days Cd Property Sub Type Retail Sale Type Standard Sewer Public Sewer Tax Annual Amount 2426.0 Tax Assessment Amount 173300.0 Tax Lot 397 Vacation Rental YN No Water Source Public Zoning Cmx2.